Here, we designed this tall vertical platform lift in Windsor, CO to be a straight thru configuration. This is the easiest configuration for the user because you don't have to make any turns as you enter the lift, go up, exit the lift, and enter the house. Everything is a straight shot for a walker or a manual wheelchair or a power wheelchair. 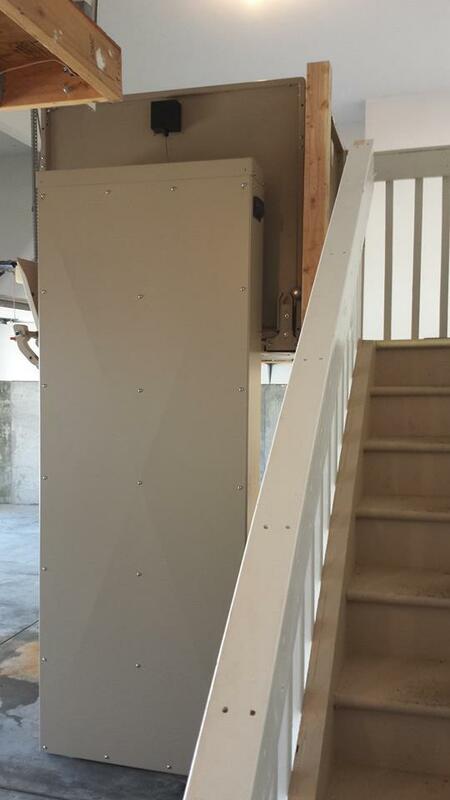 In this case, we built a safe, custom platform with the existing steps up the door going down to the right of the lift. These tall lifts can go up to 14 feet in height and operate very quietly. This lift is about 65 inches in height.